Built in the early 1900′s, 1338-1340 South Michigan Avenue was constructed with a steel-frame and concrete structural system. The façade is finished with white glazed terra cotta tiling with Classical Revival-style motifs. The first story of the façade is clad with stretcher-coursed rectangular terra cotta tiles. Two inset pedestrian entrances with ogee-profiled surrounds occupy the northernmost and the southernmost bays which retain the original doorways, including transoms and multi-paned sidelights. Above the northern and southern entrance bays, pairs of fluted Corinthian pilasters rise from the second to the sixth story, terminating below the seventh story, which serves as the classical frieze. The terra cotta cornice, which rises from the frieze, has a reverse ogee profile with a dentil molding set atop an egg-and-dart motif molding. The cornice features two small lions heads sculpted in terra cotta directly above the pilasters. 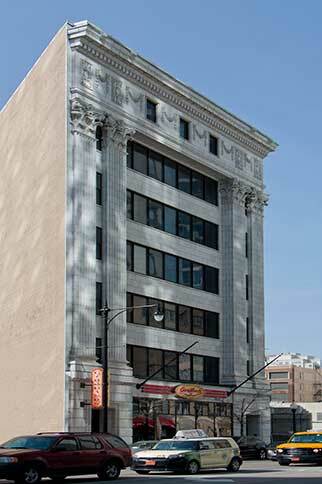 As with most loft buildings from the early twentieth century, the building at 1338-1340 South Michigan was designed as utilitarian structures that could accommodate a variety of uses. Consequently, the building was designed and constructed to provide large open display areas, particularly on the first floor, and flexible interior office and loft spaces above. This accommodating interior and convenient downtown location would prove essential to the operations of the building’s most important tenant—the Curtiss-Wright Aeronautical University, the first accredited flight school in the Midwest to admit African American students and to hire African American instructors. 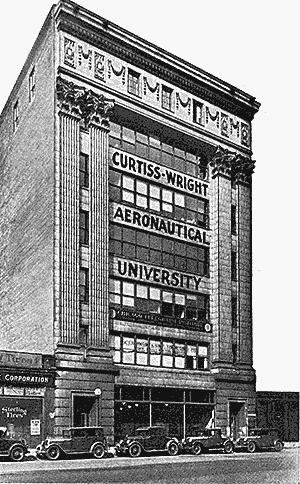 The Curtiss-Wright Aeronautical University—first established at 1338 South Michigan Avenue in 1929 as the school for the Curtiss Flying Service and reorganized in 1933 as the Aeronautical University, Inc.—served as an important entry point for many of the country’s pioneering African American pilots, including John C. Robinson, Cornelius Coffey, Harold Hurd, Janet Bragg, and Willa Brown. With the formal ground instruction and mechanical training they received at the University, these men and women went on to play important roles in the promotion and expansion of aviation in the United States and abroad. The building at 1338-1340 South Michigan Avenue is also one of the last known remaining structures associated with the rise of Chicago’s thriving aviation community during the 1920s and 1930s. The building is significant under the themes of education and cultural heritage of African Americans with a period of significance extending from 1929 through 1953, mirroring the occupancy of the Aeronautical University. The Aeronautical University at 1338 South Michigan Avenue offered courses of study in aviation mechanics, aviation administration, and aviation welding in addition to three separate pilot courses. Lecture-style classes were supplemented with a good deal of hands-on training. The first floor (actually the basement of the building) was given over to the welding school, where students had the opportunity to “do actual work on overhaul jobs.” On the third floor, students worked on standard airplane engines like the OX5 Curtiss, Wright Whirlwind, and Curtiss Challenger. 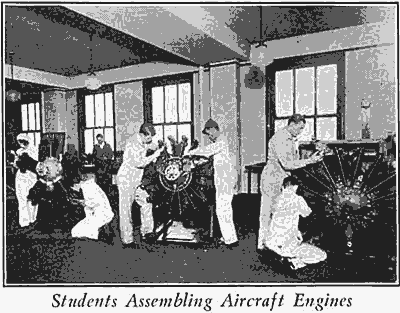 An airplane shop with woodworking and gluing equipment allowed students to practice the “rebuilding of complete wings, replacement and repair of spars, the rebuilding of ribs, etc.” The fourth floor of the building housed the school office, physics laboratory, and classrooms as well as a student lounge and library. Course at the University ranged from $50 for the Private Pilot’s Ground Course to $250 for the Master Mechanics Course. 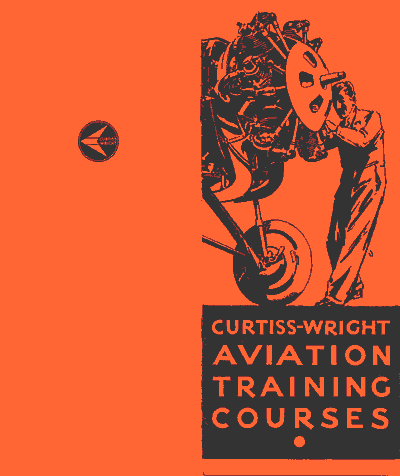 Flying courses at the Curtiss-Reynolds Airport ranged from $600 for a Private Pilot Course to $4500 for a Transport Pilots’ Course.